We knew The Pinstriped Posers were in austerity mode, but this? 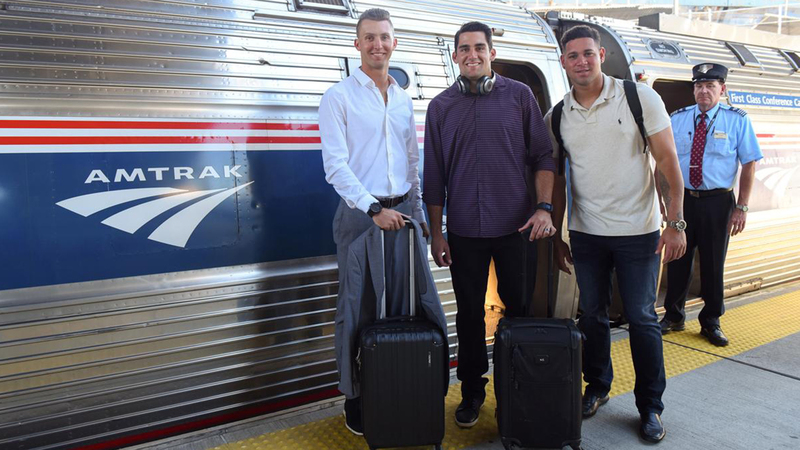 The mighty New York Yankees made their way to Boston yesterday via an AMTRAK train. That's right, a conveyance more familiar to Billy Gardner than Brett Gardner. It's unclear whether Alex Rodriguez ate his packet of salted peanuts or whether he had his ticket out and available for the conductor when he came by. America wants to know. Maybe all this "touchy-feely", politically-correct stuff from our NOG (New Ownership Group) is rubbing off on the Steinbrenner Brood.